Hi, my name is Julie. 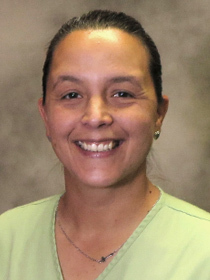 I was born in Baytown, Texas and now I am professor and Director for the Holistic Health and Massage Therapy program at Trinidad State Junior College at the Valley campus located in Alamosa, Colorado. It has been an honor for me to transition from industry into higher education. I enjoy the students that I encounter through the program but also the community of students here at the Valley campus. I earned my massage certification through a private school in Kingwood, Texas and my B.S. in Kinesiology with an emphasis on Corporate Wellness from Sam Houston State University in Huntsville, Texas.